Within the series' narrative, the Doctor is a centuries-old Time Lord from the planet Gallifrey who travels in time and space in his TARDIS, frequently with companions. At the end of life, the Doctor can regenerate his body; as a result, his physical appearance and personality change. 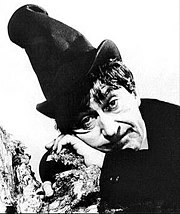 The transformation into the Second Doctor (originally referred to as a "renewal"), a figure who was the same 'essential' character as the first but with a very different persona, was a turning point in the evolution of the series, and eventually became a critical element of the series' longevity. The First Doctor grew progressively weaker while battling the Cybermen during the events of The Tenth Planet (1966) and eventually collapsed, seemingly from old age. His body renewed itself and transformed into the Second Doctor. Initially, the relationship between the Second Doctor and his predecessor was unclear. In his first story, the Second Doctor referred to his predecessor in the third person as if he were a completely different person. His companions Ben and Polly are at first unsure how to treat him and it is only when a Dalek recognises him that they accept that he is the Doctor. In the second story, The Highlanders (1966–67), Jamie McCrimmon joined the TARDIS crew, and remained with the Second Doctor for the rest of his travels. Ben and Polly left together when the TARDIS landed at Gatwick Airport on the same day they originally left with the First Doctor, after they had stopped the mass kidnapping of tourists by shape shifting aliens. The Doctor and Jamie then became involved in a plot by the Daleks to gain both the "Human and Dalek Factors" when the TARDIS was stolen, which led to them meeting Victoria Waterfield in the 19th century. The Doctor used the situation to engineer a Dalek civil war that seemingly destroyed the Daleks forever. However, Victoria's father was among the casualties. Now an orphan, Victoria chose to accompany the Doctor and Jamie on their travels. Although she felt great affection for the Doctor and Jamie, she was never able to completely come to terms with life in the TARDIS and the constant danger that resulted. She eventually chose to leave after the events of Fury from the Deep (1968) and was adopted by someone in the 20th Century. The Doctor was then joined by Zoe Heriot, an extremely intelligent woman from the 21st century, who helped defeat the Cybermen attack on a space station known as the Wheel. She then stowed away in the TARDIS and, despite the Doctor's warnings about what she might encounter, chose to remain. The Second Doctor's time came to an end when the TARDIS landed in the middle of a warzone, created by a race of alien warlords who, with the help of another renegade Time Lord the War Chief, progressively kidnapped and brainwashed humans into becoming soldiers for them, hoping to use the ones who survived to conquer the Galaxy. Although the Doctor was able to defeat their plan, he realised he would be unable to return the human subjects to their various original points in Earth's history. He therefore contacted the Time Lords, sacrificing his own freedom in the process, and despite an attempt to escape was forced to return to his home planet. He was then put on trial by the Time Lords, for breaking their laws of non-interference. Despite the Doctor's argument that the Time Lords should use their great powers to help others, he was sentenced to exile on 20th century Earth, the Time Lords forcing his regeneration into the Third Doctor in the process. Jamie and Zoe were returned to their own time, with their memories of all but their first encounter with the Doctor wiped and the secret of the TARDIS was also taken from the Doctor. Due to what would appear to be continuity errors in Troughton's later appearances (particularly in The Two Doctors), some fans have speculated that the Time Lords used the Second Doctor as an agent after the events of The War Games (1969), and that he did not in fact immediately regenerate and enter his exile on Earth. This theory of continuity is described as "Season 6B". Additionally, while The War Games never depicted the Doctor's regeneration itself, it was later depicted in TV Comic, which treated the exiled Doctor's exploits on Earth, before, in a comic entitled The Nightwalkers, showing the Doctor dragged in to the TARDIS by animated scarecrows, allowing his change of appearance to take place. The Second Doctor's regeneration was also depicted in Devious, a fan-produced film starring Jon Pertwee in his last appearance as the Third Doctor. The Second Doctor has been nicknamed the "Cosmic Hobo", as the impish Second Doctor appeared to be far more scruffy and childlike than his first incarnation. Mercurial, clever, and always a few steps ahead of his enemies, at times he could be a calculating schemer who would not only manipulate people for the greater good but act like a bumbling fool to have others underestimate his true abilities. Sometimes this appears simply as a joke, such as in The Tomb of the Cybermen (1967), where he finishes the archaeologists' calculations behind their backs, but at other times, it seems much darker. In The Evil of the Daleks (1967), he coldly manipulates Jamie into trying to rescue Victoria (thus setting in motion the Human Factor tests) and is unsympathetic when Edward Waterfield tries to apologise for his collaboration with the Daleks. Despite the bluster and tendency to panic when events got out of control, the Second Doctor always acted heroically and morally in his desire to help the oppressed. This Doctor is associated with the catchphrases "When I say run, run! ", and "Oh my giddy aunt!" (although the latter is only first heard in one of his last few stories, The Krotons) and is noted for playing the recorder. Early promotional photo of the Second Doctor from 1966. Troughton's costume was the result from discussion between the actor himself, producer Innes Lloyd, and script-editor Gerry Davis. He wore a black frock coat, several sizes too big, over a light-coloured shirt and very baggy trousers, which, like his bow-tie, were fixed with a safety pin. In his first two stories, the trousers were orange and black two-inch check. He also tended to wear a stovepipe hat and pixie boots. The actor denied suggestions that his distinctive mop of jet black hair was a wig. In stories set in colder environments, Troughton wore a cloak (The Tomb of the Cybermen) or a short fur coat (The Abominable Snowmen). With the arrival of a younger Doctor and changing tastes, the Second Doctor's tenure was characterised by a faster pace and a preference toward "monster of the week"-style horror stories, whilst the purely historical adventures that were a recurring feature of the Hartnell era ceased with The Highlanders, the only Troughton-era entry in that genre. While Troughton's Doctor would still visit the Earth's past, he would always encounter an alien, such as the Daleks or the Ice Warriors. It was also during this era that Doctor Who began to come under fire for its purportedly violent and frightening content. As with his predecessor, all the Second Doctor's original episodes were in black-and-white. Later guest appearances in The Three Doctors (1972–73), The Five Doctors (1983) and The Two Doctors (1985) were in colour. However, Troughton's reign as the Doctor was more notable for what does not exist than for what does, as many of the episodes featuring the Second Doctor were junked by the BBC; a full list of incomplete Doctor Who serials shows how many of these episodes are missing from the BBC Archives. Only two stories in Troughton's first two seasons – The Tomb of the Cybermen (1967) and The Enemy of the World (1968) – still exist in their entirety; ten stories only exist partially (most with one or two episodes out of 4 or 6); and four are lost in their entirety: his first story, The Power of the Daleks (1966); Jamie's first adventure, The Highlanders; The Macra Terror (1967); and Victoria's last adventure, Fury From the Deep. The Second Doctor in The Two Doctors (1985). Images of the Second Doctor appear in Day of the Daleks (1972), The Brain of Morbius (1976), Earthshock (1982), Mawdryn Undead (1983), Resurrection of the Daleks (1984), "Human Nature" (2007), "The Next Doctor" (2008), "The Eleventh Hour" (2010), "Vincent and the Doctor" (2010), "The Lodger" (2010), "Nightmare in Silver" (2013), and The Sarah Jane Adventures story Death of the Doctor (2010). A sculpture of his head, along with that of the First Doctor, appears in the 1993 special for Children in Need titled Dimensions in Time (1993). The Fourth Doctor calls him "the flautist." He briefly appears in "The Name of the Doctor" (2013), where archive footage from The Five Doctors is used to show him running past Clara Oswald in an unseen adventure. The Second Doctor appears, via archival images, in the series' 50th anniversary special, "The Day of the Doctor" (2013). He is seen piloting the TARDIS and acting in unison with twelve other incarnations of the Doctor to save Gallifrey on the final day of the Time War. Troughton received a mixed reception from viewers at first; letters sent to Radio Times both praised "the superb character he has created" and complained that "a wonderful series" had been turned into "what looked like Coco the Clown." Peter Davison, Colin Baker, Sylvester McCoy and Matt Smith, who played the Fifth Doctor, Sixth Doctor, Seventh Doctor and Eleventh Doctor respectively, have stated that the Second Doctor is their favourite. Smith has also stated that his Doctor costume, in particular the bow-tie, was also influenced by the Second Doctor's, after Smith cited the Troughton story The Tomb of the Cybermen as a favourite story. ^ Cornell, Paul; Day, Martin; Topping, Keith (1995). "Season 6 (b)". The Discontinuity Guide (reprinted on BBC Doctor Who website)|format= requires |url= (help). London: Virgin Books. pp. 105–107. ISBN 0-426-20442-5. Retrieved 20 April 2009. ^ Hearn, Marcus (24 October 2013). Doctor Who:The Vault. London: BBC Books. p. 65. ISBN 1849905819. ^ Niall Boyce (2009). Doctor Who: The War Games (Media notes). London: BBC Worldwide. BBCDVD1800. ^ "Doctor Who – Classic Series – Episode Guide – Second Doctor Index". BBC. Retrieved 22 June 2010. ^ "'Doctor Who': A Companion To The Second Doctor". BBC America. 21 February 2013. Retrieved 8 October 2013. ^ a b "A Brief History of a Time Lord". BBC Doctor Who. Retrieved 2 July 2017. ^ a b Mulkern, Patrick (1987). "Dressing the Doctor". Doctor Who Magazine Autumn Special. Marvel Comics/BBC. p. 20. ^ "The Changing Face of Doctor Who – 'Radio Times' Letters Page, 24 November 1966". BBC Archive. Retrieved 2 July 2017. ^ "Doctor who Peter Davison interview on breakfast TV". YouTube. Retrieved 22 June 2010. ^ "Sylvester McCoy interview". BBC News. 18 July 2001. ^ "Matt Smith interview at Comic-Con 2011". YouTube. Retrieved 17 January 2012. ^ Doctor Who Magazine, No. 418, 3 February 2010.